The goal of FEA’s strategy workshop series is to provide you with professional guidance in developing strategies and plans to deal with the wide variety of challenges faced by today’s facility and property managers. More than just training, these workshops are facilitated so you can create your tailored strategy and implementation plan. Our facility professionals will guide your staff in creating a sound strategy that aligns with your organizational mission and provides a solid framework for you to create policies and plans which provide solutions for effective operations and maintenance, FM technology integration, sustainable asset management. Our workshops are conducted at your facility with your management/operations team. Workshops may be provided in half-day/one day/or more days (as needed). Workshops can also be tailored to your organization if longer sessions are needed, or if additional facilitators and industry experts are desired. Our experienced facilitators share best practices in the facility management industry. The outcome of a professionally facilitated work session builds the framework of your individual strategic implementation plan. 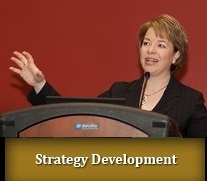 Please click here for list of industry experts that are available to conduct our strategy workshops. Cost: Our workshops are delivered at your facility at the cost of $3,000 per half-day and $5,000 per full day, plus travel expenses for the facilitator.